Should you be thinking of going on your very own Bermuda holiday, don’t go anywhere before checking out our favourite things to do in Bermuda. Mark Twain once said “you can go to heaven if you want. I’d rather stay in Bermuda” and you know what, he might be on to something. Bermuda is truly heaven on earth, and unsurprisingly this paradise location is an award-winning destination that is a favourite amongst discerning travellers. One of Bermuda’s most fascinating attributes is that it is in fact made up of 181 islands, islets and rocks. The majority of these are uninhabited but don’t worry you won’t have to jump between the main ones, the eight largest islands are linked by bridges and a causeway. Famed for its stunning beaches and rugged coastline of which there are 75 miles of it to explore during your stay. Bermuda boasts a vibrant and friendly culture with fascinating history as Britain’s oldest colony which is delightfully mixed with African heritage. The British influence can been seen in the country’s government, legal and educational institutions’ whilst African influences can be seen in music, dance and festivals. 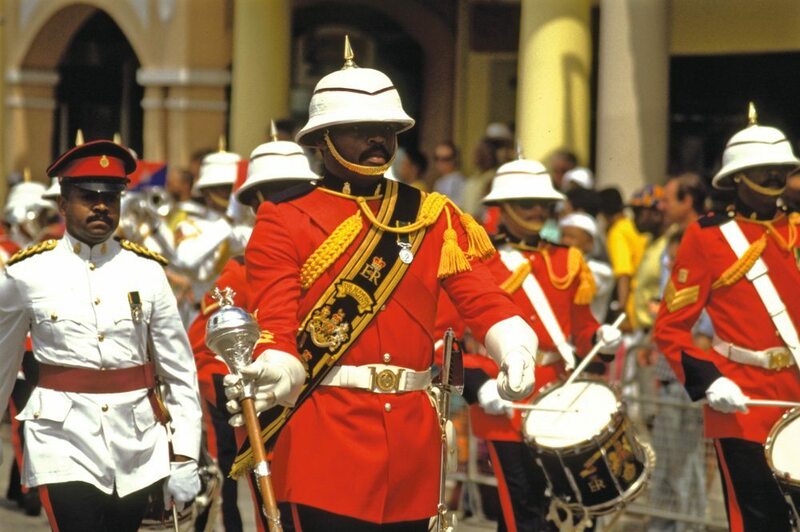 An iconic part of the culture is the famous Bermuda shorts which were originally inspired by the British Military’s uniform. So, without further ado here are our top 6 things to do in Bermuda. 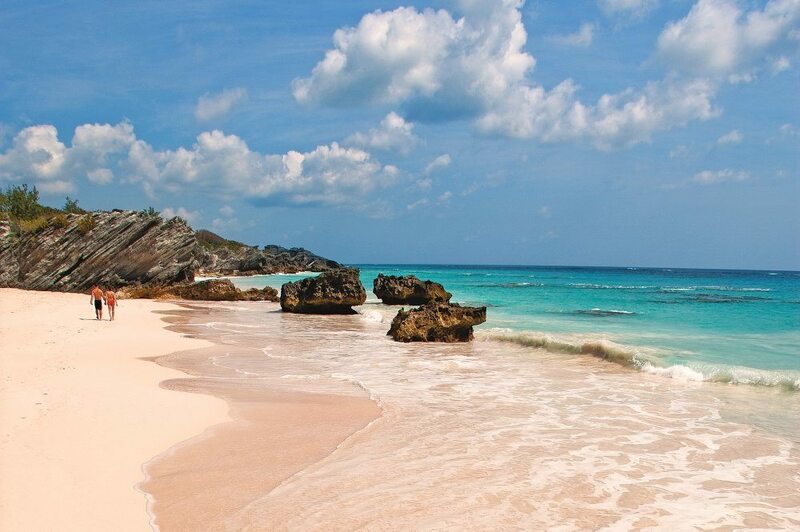 Bermuda’s trademark is its pink sandy beaches. The sand on these beaches are pale pink in colour due to its composition of crushed coral. Our top picks of beaches are John Smith’s Bay with amenities on the beachfront, Shelly Bay Beach which offers calm waters and trees for shade (a perfect choice for those with children) or Elbow Beach, with its glorious mile of pink sand and calm waters due to the protective coral reefs that surround it. There are two signature cocktails that you simply must try on your Bermuda holiday including the exquisite Dark ‘n Stormy made up of Bermudan Gosling’s Black Seal Rum and ginger beer. Next is the Bermuda Rum Swizzle which mixes rum with fruit juice and grenadine. 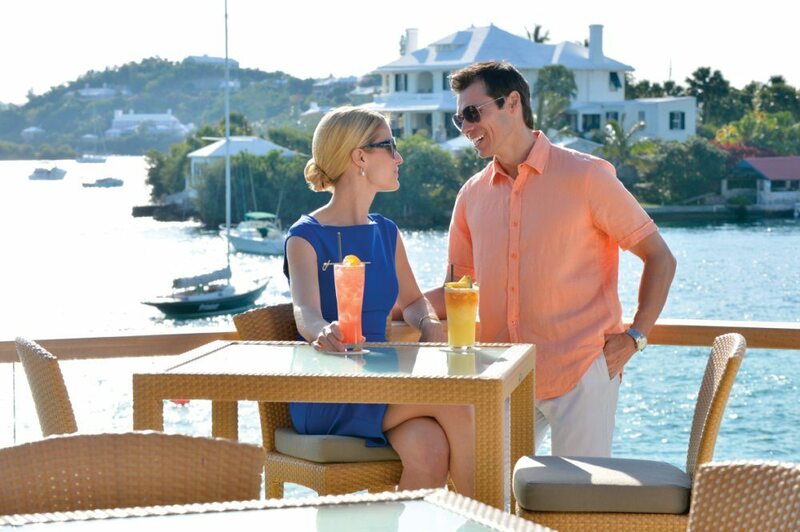 What better place to enjoy a rum cocktail then Bermuda? There is a wealth of things to do and places to visit in Bermuda. From churches to forts, to gardens and caves there will be something for you to do or somewhere to visit throughout your stay. In the West End there are ferries between the City of Hamilton and the Royal Naval Dockyard where you can find the Bermudan Maritime Museum. 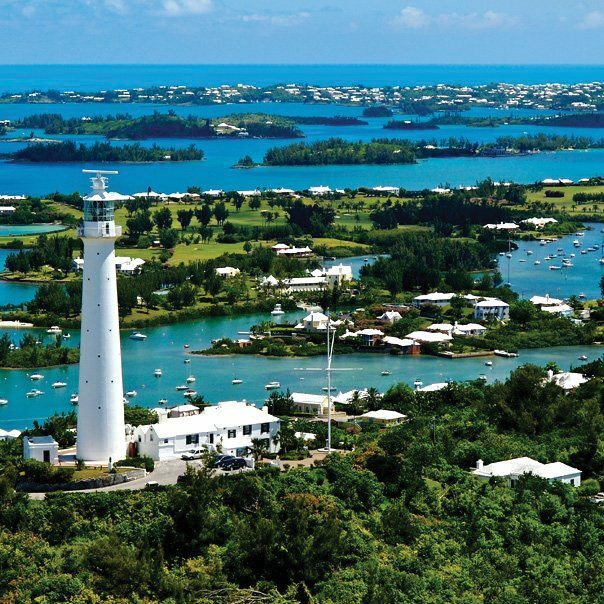 On the highest hill in Bermuda, you’ll find Gibbs Hills Lighthouse protecting ships from the rocky shores. Built in the mid-19th century it is a charming place to visit and with the Lighthouse Tea Room you can find refreshment here too. The capital of Bermuda, the City of Hamilton, is a must visit during your stay. There are numerous churches, museums, galleries, gardens and shops set by the lovely natural harbour. During the summer months between May and September there is the weekly ‘Harbour Nights street carnival’ for all to enjoy. Visiting the capital is an excellent way to experience the best of Bermuda on your luxury holiday. For those with an interest in history the Town of St George located in the East End is listed as a UNESCO World Heritage Site. 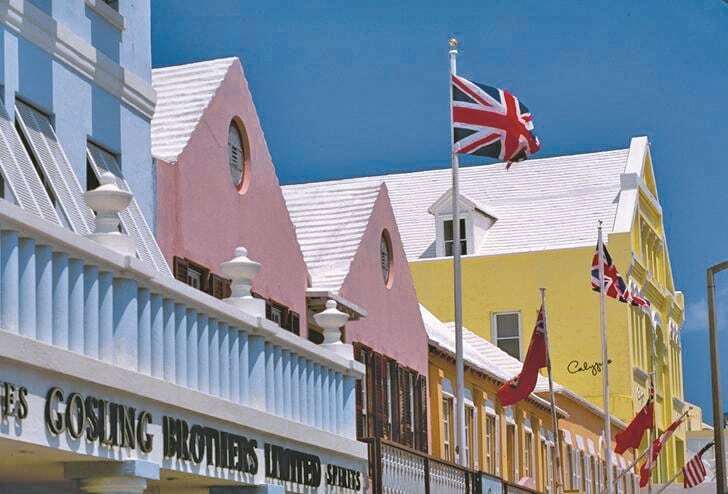 Once Bermuda’s capital the historic town boasts several forts, Heritage Museum, King’s Square, St Peter’s Church and a statue of the founder of Bermuda, St George Somers. For watersports enthusiasts Bermuda is the perfect holiday destination. A true haven for divers there are shipwrecks, caves and coral reefs to explore along with hundreds of species of fish to keep you company. For those with no diving experience but who are looking to visit the underwater world can venture out on a Helmet diving trip. Your head stays completely dry as your walk amongst the sea creatures, which are even used to visitors enough that they allow themselves to be held for photographs! Of course what is mostly associated with the destination is the ‘Bermuda Triangle’ which is allegedly responsible for the mysterious disappearance of a handful of ships and planes. 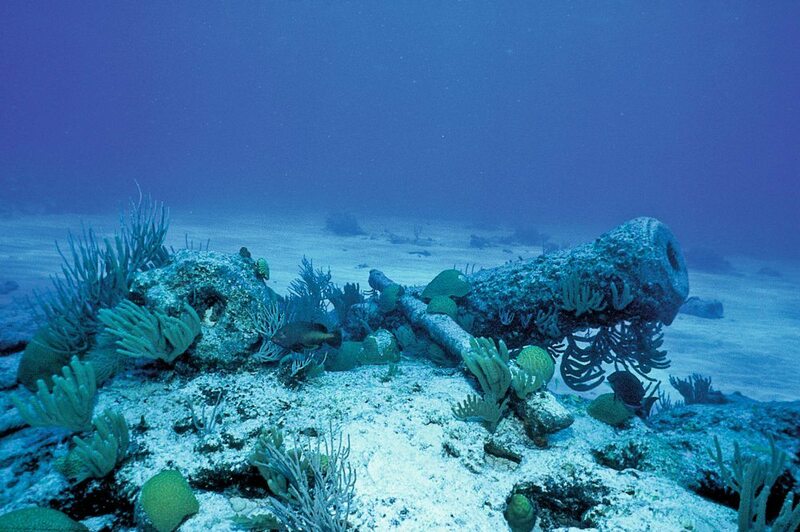 However, scientists believe that these disappearance were more likely to be due to geophysical phenomena. Nevertheless, for those intrigued and looking for further information the Bermuda Underwater Exploration Institute has a comprehensive display on the triangle. There are numerous places to eat, drink and enjoy the friendly, relaxed atmosphere in Bermuda. Local dishes include delicious fresh caught fish which can be found in most restaurants, local pubs and taverns. There are also multiple establishments serving international cuisine from American to Asian to European. With cocktails being a speciality of the island you will never be far from an excellent bar serving a Rum Swizzle or a Dark ‘n Stormy amongst others. Relax and enjoy beautiful sunsets on the shore before dancing the night away to live music. We recommend the Barracuda Grill with its classy atmosphere and excellent Martini bar which is located on Front Street in the City of Hamilton. The pleasant Bermudian climate sees comfortable temperatures year round with highs of 21 degrees Celsius in the winter and up and to 30 degrees Celsius in the summer. Rarely in the winter will you see it drop below 14 degrees as the island is warmed by the Gulf Stream. Located in the heart of Hamilton just a short stroll from the renowned Front Street, the Hamilton Princess & Beach Club boasts exceptional service and first-class facilities. 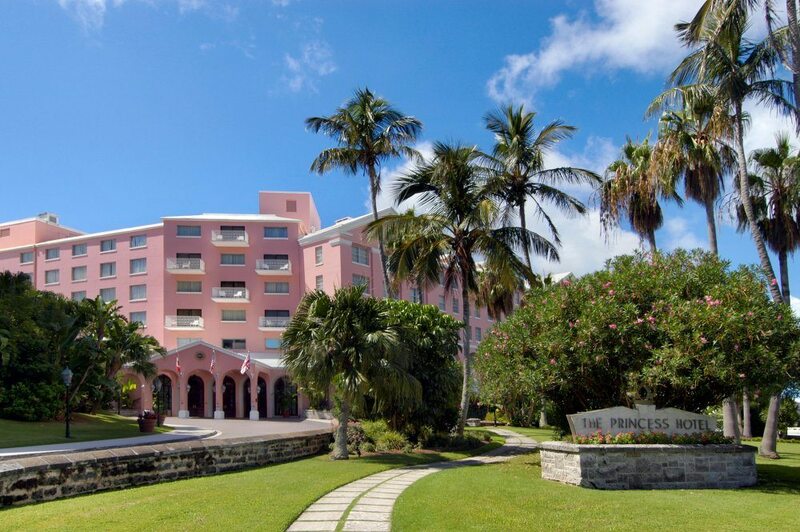 The hotel has been deemed one of Bermuda’s best addresses since it first opened its doors in 1885 and is otherwise known as the legendary Pink Palace. Its pastel pink exterior has made it one of the islands most loved landmarks. When you’re not exploring this fantastic island take a break and enjoy the hotel’s fresh or saltwater pool, relax on the private pink-sand beach, or indulge your taste buds at one of the superb restaurants. With newly remodelled rooms it is the perfect choice for those looking for luxury accommodation for their holiday to Bermuda. 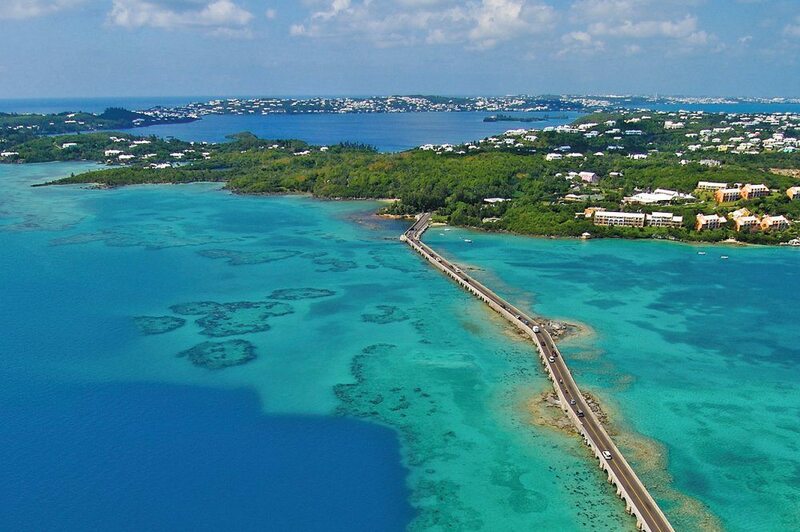 With so much to see, do and experience Bermuda is an unrivalled holiday destination. Already want more information? Visit our website or call our expert specialist sales team on FREEPHONE 0800 047 1066.